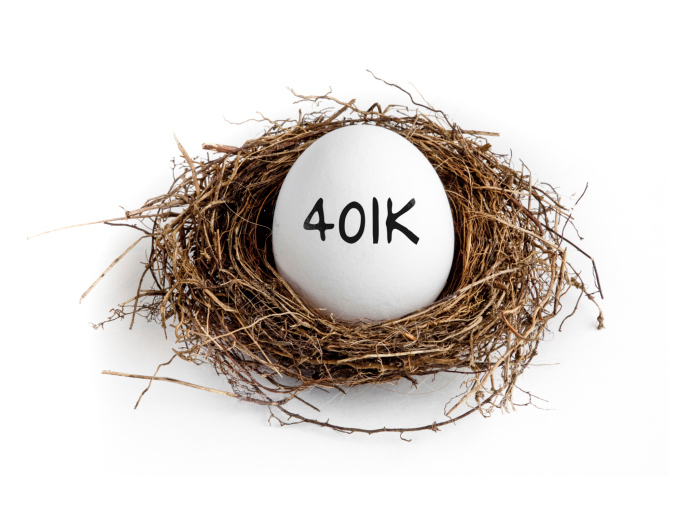 Here's what happened when I tried to roll a 401(k) at a former employers plan into an IRA. Here's what happened when I tried to roll a 401(k) at a former employer’s plan into an IRA. (Bloomberg) — The American retirement system needs a plumber. Everything is built so the pipes don’t connect. That’s how Lew Minsky of the Defined Contribution Institutional Investment Association, a group representing the 401(k) industry describes it. Workers hop from job to job, collecting 401(k)s and individual retirement accounts (IRAs) along the way. Rolling those assets into one convenient account can be a full-time job of its own, since the companies that run 401(k) plans and sell IRAs all use different systems. Here’s what happened when I tried to roll a 401(k) at a former employer’s plan into an IRA. It took visits to three websites and two phone calls — which were only answered during business hours — before a letter and check were mailed from the 401(k) plan. Yes, that’s a paper letter and check, sent through the U.S. Postal Service. Then, when the money finally arrived at the IRA provider, it took two more calls, totaling 23 minutes, before the firm was able to invest my money. The whole process took two full weeks, which happened to be an unlucky time to have my money out of the stock market. I missed a 6 percent rise in the S&P 500 and a 10 percent jump in emerging markets. That was nothing, the experts tell me. For most people, Michael Kreps of Groom Law Group in Washington said, “it’s too complicated and difficult to do the rollover themselves.” An expert onretirement policy, Kreps was able to find a way to roll over his old 401(k) into an IRA. But only after a series of bureaucratic mishaps. He needed to ask his former employer for forms and a letter, and he had to visit a bank to get a special form. “I’m a pension lawyer and it took me forever,” he said. And a 401(k)-to-IRA rollover is easy compared to the near- impossibility of a “roll-in,” moving money from an old 401(k) to a current 401(k). So Americans end up with 401(k)s and IRAs all over the place, some with tiny balances. This isn’t just a hassle that makes it harder to plan. Stranded accounts are also hurting Americans’ retirementsecurity, the U.S. Government Accountability Office recently warned. When workers leave jobs with 401(k) balances of less than $5,000, employers can automatically unload that money into a new IRA. These small balances often end up sitting in cash, where their value gets whittled away to nothing by inflation and fees. Or, worse, people just cash the things out and spend the money. As many as two in five workers cash out small 401(k) balances as they leave their jobs. Their savings never get a chance to grow, and they pay taxes and penalties in the process. A Charlotte, North Carolina-based company called Retirement Clearinghouse thinks it has the answer. It’s offering to build the technological pipes needed to connect 401(k) plans and IRAs, and it’s pushing “auto-portability” so retirement savings would follow workers from job to job. Under auto-portability, when workers left a job with a small balance in their 401(k), employers would send the money to a clearinghouse rather than creating a new IRA. The clearinghouse would hold on to the worker’s cash, for a small fee, and then send it on to their new employer’s 401(k) when they got a new job. The whole process would be automatic, though workers could stop it at any point — if, for example, they’d rather send the money to an existing rollover IRA instead. Minsky’s group, which is made up of large employers, 401(k) providers, and investment firms, is enthusiastic about the idea. It’s the rare case of a proposal with hardly any enemies. Investment companies and 401(k) providers would get more money to manage. Plan administrators would have fewer hassles keeping track of tiny accounts and, another common problem, uncashed checks. Workers would get more retirement savings. “It’s a common sense solution that we really should have done a long time ago,” Kreps, the pension lawyer, said. But retirement plan regulations are complicated, and Retirement Clearinghouse is waiting for a ruling from the U.S. Department of Labor making clear that it’s legal to transfer savings automatically in this way. The ruling would apply only to accounts of under $5,000. An account of $15,000, for example, would still stay at an old 401(k), in whatever investments a worker has chosen. Such a system could soon have a broader impact, however – assuming the Labor Department gives its blessing and large retirement plan providers then get serious about solving the rollover problem. Once a system is built that standardizes how small accounts are transferred, it gets much easier to move even the largest accounts. That could effectively end your retirement rollover hassles. Savings from one job would follow you to your next, automatically or just by checking a box during new-employee orientation.